PaddleAir founder, Dave Hilts, just announced that PaddleAir has been designing, improving, and innovating it's patented line of paddlewear for surfers for ten years! 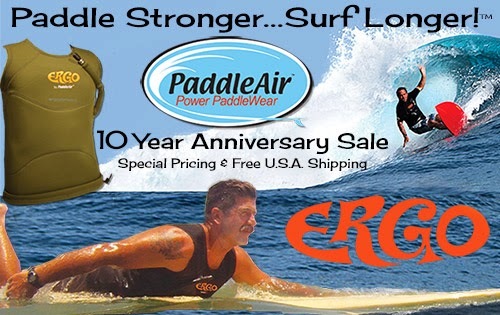 To celebrate the anniversary we're offering special pricing on our new Ergo Bali Green Neoprene and Lycra Vest and free shipping on all products. 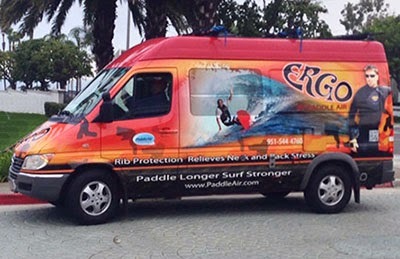 Plus, look forward to seeing more of PaddleAir this year at surf shows and on the road in the Team Ergo Demo Van. New videos and designs are also in the works all to help surfers relieve rib pain, back and shoulder strain so that they can paddle stronger and surf longer. Read more about Dave and his inspiration for PaddleAir on PaddleAir.com.